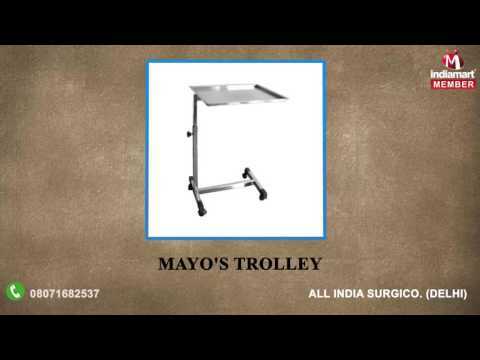 Established in the year 1984 at Delhi, India, we%u201D All India Surgico.%u201D are renowned as one of the foremost We are one of the leading manufacturer and trader of Hospital Furniture, Surgical Equipments & Veterinary Instrument & Equipments. Our product range comprises wide range of medical monitoring equipment, medical equipment cables, medical lamps & medical equipment spare parts from us like Ventilators, Dialysis Machines, Syringe Pump, Infusion Pump, Pulse Oximeter, Multipara Monitor, X-ray, CT MRI Machines and ICU Equipments. These products are thoroughly tested on various parameters by our quality controllers to ensure that our clients get only quality assured equipment.